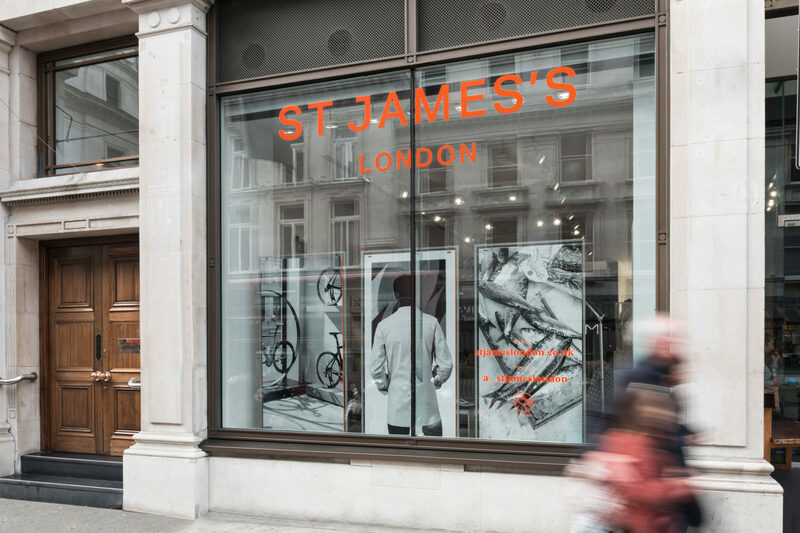 St James’s Exhibition | dn&co. 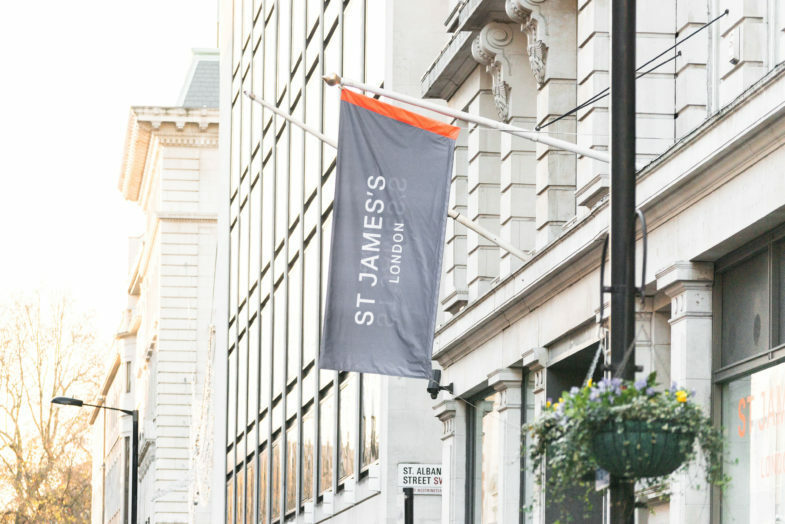 Since we launched the St James’s brand, the area has experienced a total transformation across its retail landscape. 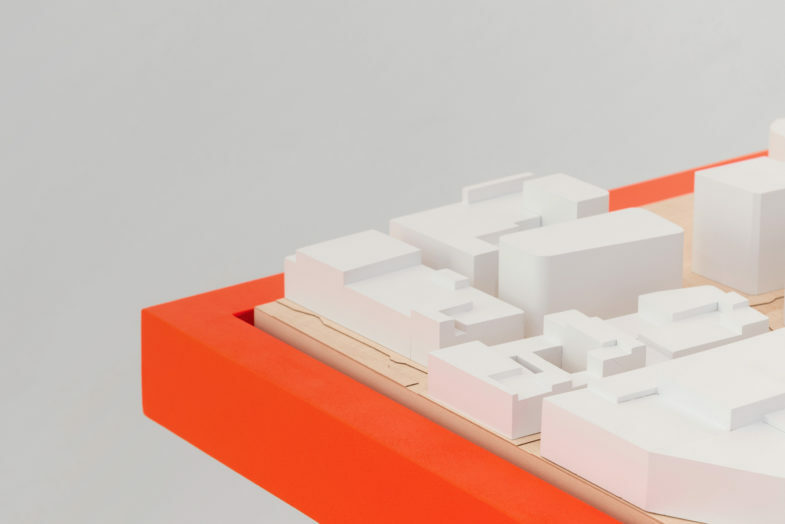 Our task was to encapsulate this change in an interactive space that celebrates The Crown Estate’s achievements in the area and allows for immersive storytelling about the future. 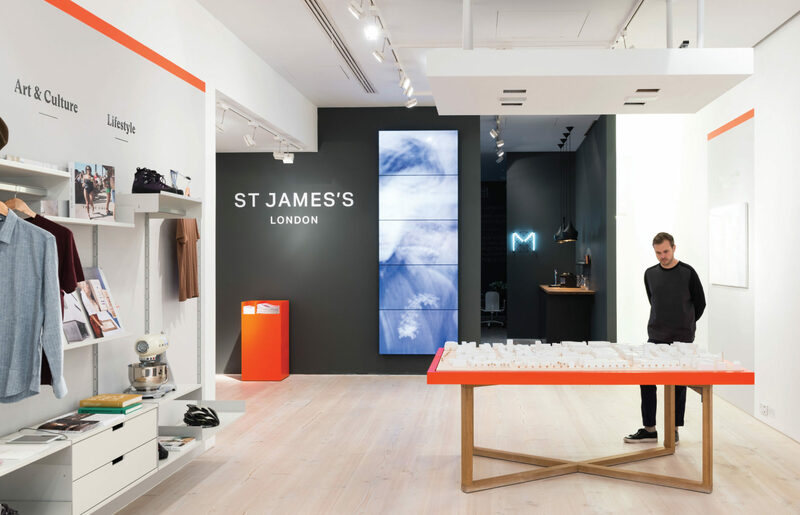 The space showcases and takes inspiration from the plethora of new luxury lifestyle brands that have recently moved in, taking its cues from the concept of retail as an immersive, tactile and emotional experience. 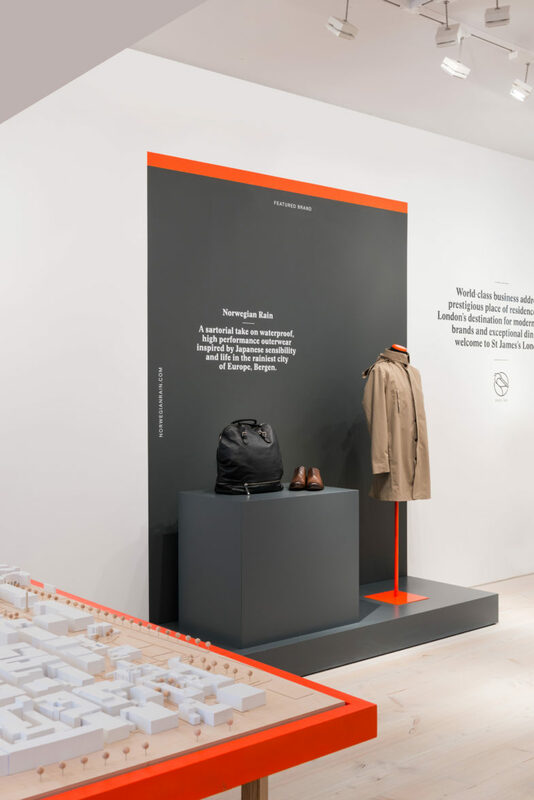 Classic Modernist British-made furniture and gallery-quality Dinesen flooring is paired with a portfolio model and centrepiece — traditional in appearance, it has layers of playful and flexible digital interactivity. 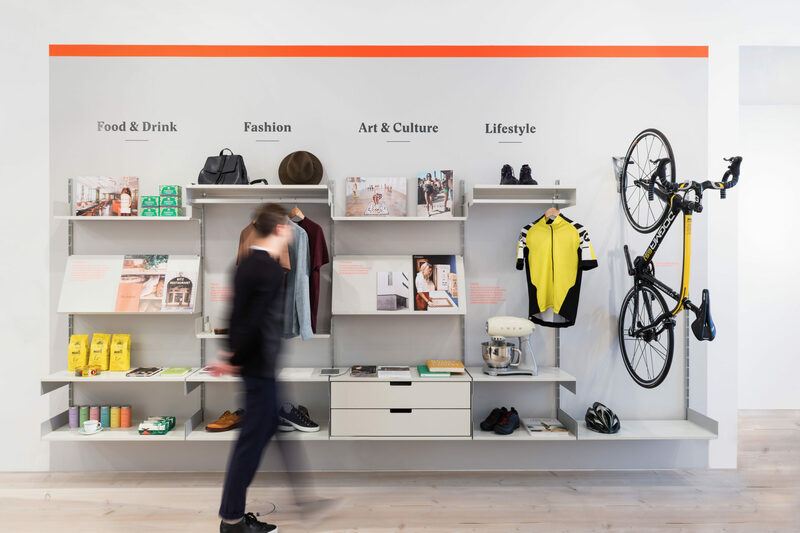 We specified and designed the entire space to be totally connected. 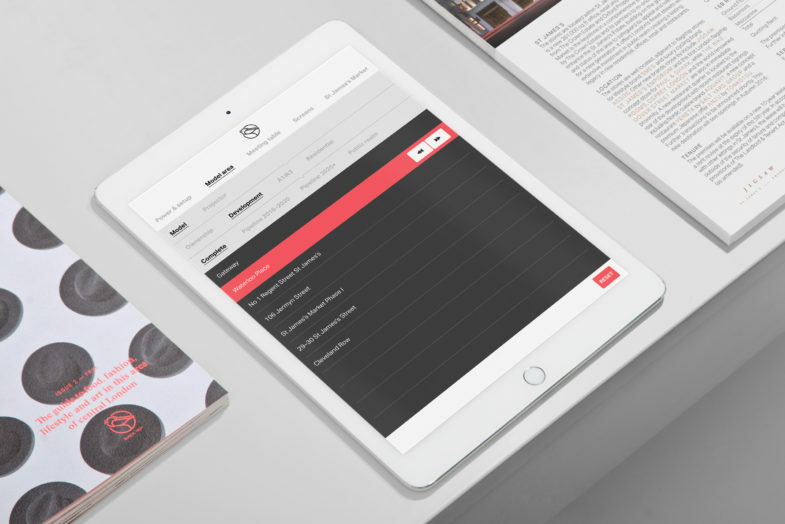 A single iPad sits at its centre that allows users infinite control — to adjust lighting, raise and lower blinds, animate models and present media across multiple screens and projectors.